It's convenient, efficient, and knowledgeable. It doesn't try to talk to you. And the user is in total control. Customers ranks the importance of convenience, efficiency, and knowledge around 80%. Executing well on these areas can increase the dollar spend to customer ratio by 40%. ChipBot brings the proven technology of search to the idea of bots, creating a novel product that brings the best of search and bot experiences. Rest assured your users will always find help anywhere on your website. ChipBot operates day and night on your website, with little maintainence on your end. You only answer new questions. Prior support is searched by your end user and you never need to answer the same question twice. ChipBot has backed-in feedback inputs, sensory inputs, and statistical weights to constantly aggregate a simple order rank. Questions with the most upvotes are prioritized over others. If you want finer control, you can have your own ranking too! 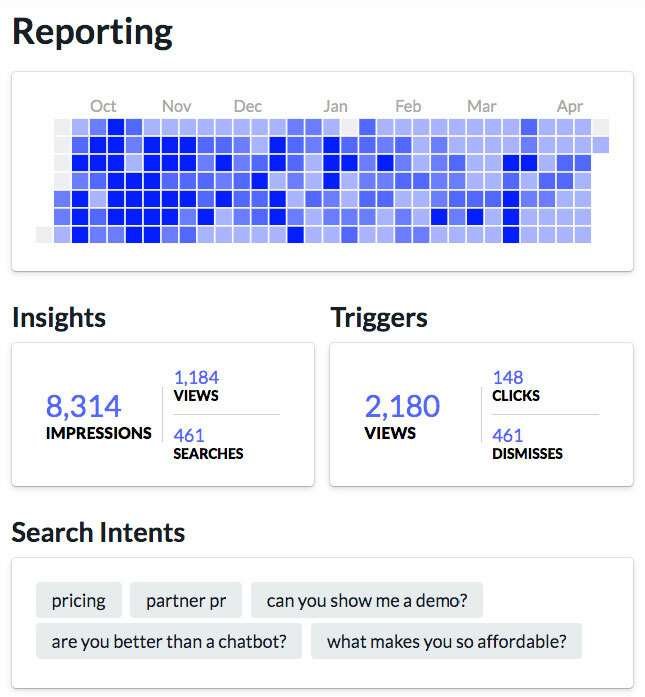 Take advantage of ChipBot's usage reports to determine where it's working for you and what areas on your website you need improvement. Most customers of ChipBot find unique insights to improve their website traditional analytics couldn't find. ChipBot works on new devices, old devices, overpriced phones, foldable phones, your Mom's phone, and that old tablet nobody uses any more. When that new phone comes out at the Consumer Electronics Show, you can assure ChipBot will work on it. So what happens when ChipBot doesn't have an answer? 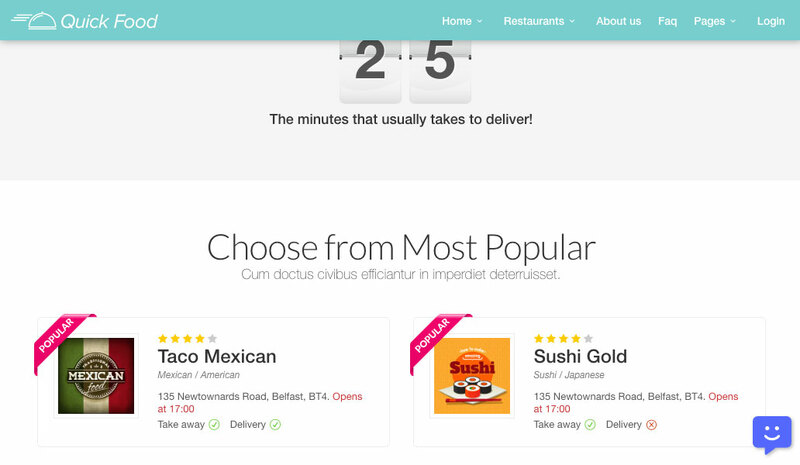 We capture what the user types and notify you if they couldn't find the answer. Our philosophy with ChipBot is to build a record of truth over time and reduce amount of support time for your business. Users can opt to leave their contact info through ChipBot, which automatically adds new leads for your business. Questions can be answered fast with a modern text editor and answers are stored in ChipBot for future users. Maybe you made a typo or a question needs further clarification. Editing is as easy as answering questions. Additionally, you can turn off certain insights, change their ranking, or add certain rules to only show sets of questions on certain pages. 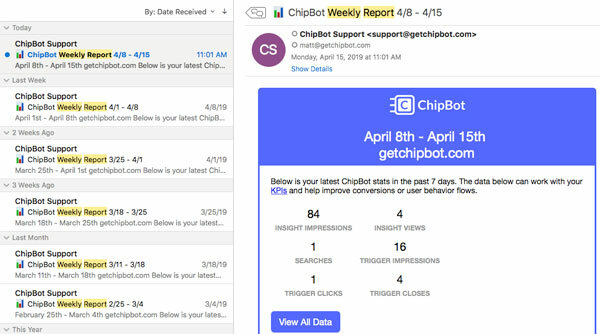 Every week, ChipBot will send you and your team a weekly report of who's using ChipBot on your website. Additionally, if you use Google Analytics, we automatically send behavior events so you can compare where ChipBot is working for you and where it's not. ChipBot' modern search technology is fast, is finds relevant insights based on the title, description, and tag. No need to worry about keywords or figuring out how to phrase the best answer, your users questions often give you the keywords future users will ask. A few questions is easy to manage, but what about 10, 20, or 50 questions? Use ChipBot's tag manager to organize content by color and label. Additionally you can attach complex rules to tags. For example, any content tagged with Product, only show it on the Product Page. Ideally, the best answers to questions are ones with supporting assets. We support embedding YouTube videos, GIF images, or static images so your business can be concise and relevant with your answers. We partnered up with Zapier to fulfill integrating ChipBot with all your existing services. For example, with Zapier, you can take a new question, and send it to Active Campaign, while receiving a notification on Slack. Our underlying API system also allows you to attach pixel tracking so you can A/B test ChipBot with AdWords or Facebook Ads. ChipBot will work on any platform you're hosted on. It only takes one code snippet to get started and takes less than 5 minutes to fully deploy ChipBot.